The Stanford ESP Blog: Splash Fall 2009! Thanks to everybody who made Splash Fall 2009 such a great success! 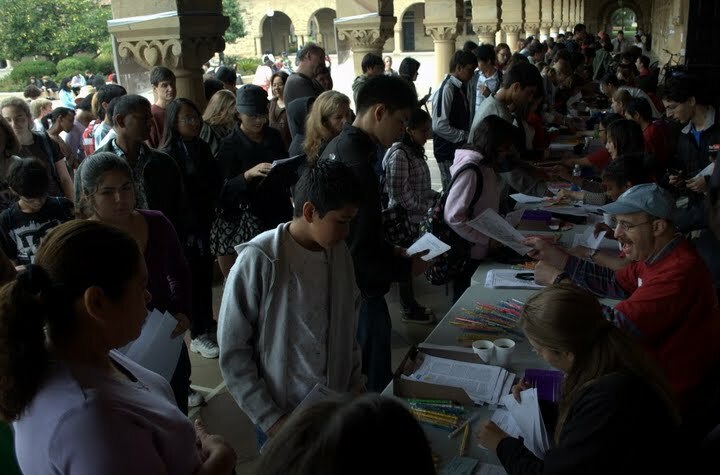 Nearly 700 students attended more than 200 classes on topics ranging from web programming to creative writing to solving Rubik's cubes. We're exited that so many people came together to have fun and learn at the same time, and we can't wait to bring even more cool subjects to students for Splash Spring 2010. Stay tuned for information about future Splash events! Welcome to the Stanford ESP Blog!